Do you come to God's Word with questions and doubts that arise from life's disappointments and hurts? This is an amazing book! I had my highlighter out the whole time I was reading it and there's more green on the pages then white. That's how much I gleaned out of this book. Denise shares her heart openly, which makes this book really easy and enjoyable to read. 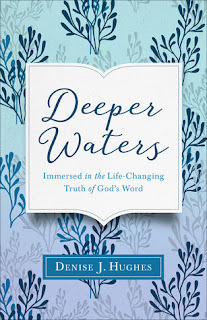 She shares her own journey of getting deeper into the Word of God and then shares what she learned along the way with us so we can get more out of the Bible as well. I have read other books on how to study the Bible but this is the absolute best book I've ever read for giving lots of ideas and information. She gives us the tools to share what we've learned with other women. 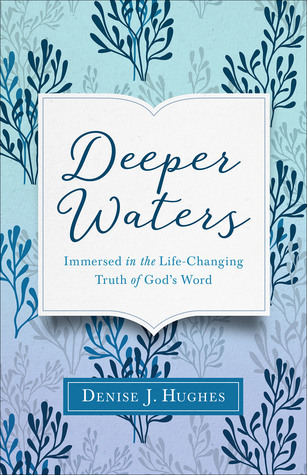 She shares why it's so important to know God more deeply through His Word. It's all SO good! I gained so much from this book. It's a book I'm keeping in my quiet time basket because I'm referring it time and again as I study the Word of God. Plus, there are prayers in the back as well as a Bible reading plan. It's the perfect book for making your time with the Lord really count. I absolutely love this book and highly recommend it! I give it 5 out of 5 stars.